J S Perry & Co., Inc.
We are primarily a high end residential Builder and Remodeler with a divisional emphasis on Hardie Product installation including all Hardie exterior products such Hardieplank Siding, Hardiesoffit, Hardieshingle shingle style siding and Hardie Trim. Visit our builder site for more information on our comprehensive construction services and projects. 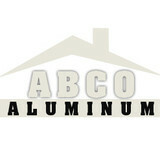 Here at ABCO Aluminum, we will help create your desired dream home with reasonable prices and no gimmicks. Perhaps you are looking to add a brand new patio enclosure to your home or enclose an existing patio or porch space. Let us provide shelter for you car and tools by developing a durable carport for your vehicle or create an aluminum shed to store your tools or create a workshop. You can also choose from a variety of vinyl replacement windows or update the exterior of your home with our siding services. Call us today and see what we can do for you! 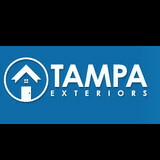 Tampa Exteriors is an independently owned company that’s based in Tampa to serve the needs of local home and commercial building owners. We’re large enough to handle any sized job, yet small enough to do so on a personalized basis with the cornerstone of our reputation being built on a commitment to offering quality craftsmanship and competitive pricing on siding, roofing, windows and doors. See more on our website! Locally owned and operated for 16 years, CR & C Stucco offers beautiful custom stucco, stone, and brickwork as well as decorative banding, plastering, and lath installation services. Let us enhance the value, style, and functionality of your home with our attractive and elegant installation work. Our team has over 30 years of experience in the industry. Our business is our livelihood but it is also so much more. Graham Aluminum And Home Improvements was started to fill in a void in the current market and to make a business that people can place their trust in. Over the years we have never lost our commitment to our clients and that is what has allowed us to succeed in a very competitive industry. The employees of Graham Aluminum And Home Improvements stand committed to our purpose and will provide the best service! Serving All of Hillsborough County Plant City Awning & Aluminum Products offers a full line of home improvement products. We are constantly evaluating new products and materials so that we can give our customers many options for the best value. From carports, patio awnings, and replacement windows, to screened rooms, pool enclosures, siding, soffit, and roofovers; this company does it all! Gallery At our company, we offer high-quality service and products. For over 50 years we have helped people just like you add value to their home. Please browse our gallery to get a better idea of the products and services we offer. Robert A. Ford III has been in business since the 90's and is located in Clearwater Florida. We are siding professionals that offer anything from repairs, cedar siding and more. Call us today! AAA Pre Cast Stone Inc.
What types of siding services do Fruitville exterior contractors provide? Wood siding needs more maintenance than less-expensive, low-maintenance vinyl siding, but with proper care it will outlast vinyl siding, which can fade and crack over time. Your Fruitville, FL contractor might also suggest fiber cement siding, which is fire resistant and termite-proof and can come with a warranty of up to 50 years. Find siding and exterior contractors in Fruitville, FL on Houzz. 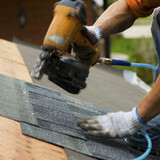 Narrow your search in the Professionals section to Fruitville, FL siding and exterior contractors. 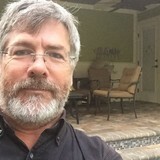 Find out how long a Fruitville, FL exterior remodeling contractor has been in business, view portfolios, read reviews and get contact information.